Today’s all about book quotes! Now, I LOVE quotes, as evidenced by my previous posts on my favorite book quotes and favorite first sentences. And you also probably know I’m a huge romantic and love love. 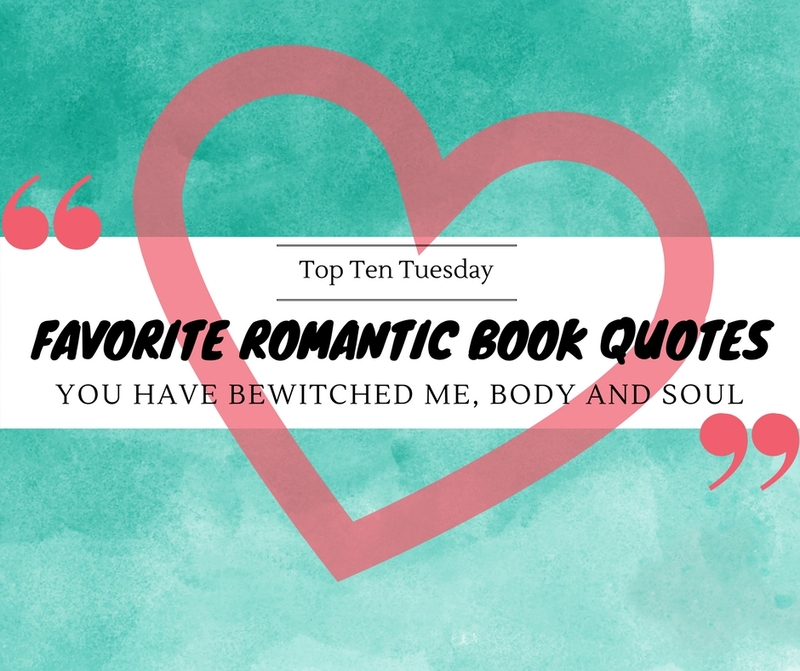 So for this post I decided to focus on some of my favorite romantic book quotes. All of these made me swoon, made me ship and one even made me laugh while still making me swoon and ship! WHat are some of your fave swoony quotes? Love the VE Schwab one- nice! Anna and the French Kiss is good too. I really need to read Simon Vs and Gentlemen’s Guide… Must read soon! Awesome list and gorgeous looking post! Hope you’ll enjoy Simon and Gentleman’s Guide when you get to it! I love swoony movies, but I am not a huge fan of swoony books…and why is that? Who knows?…so I haven’t any swoony book quotes. Thanks for sharing yours. They are lovely. That Anna and the French Kiss quote is perfection – that describes perfectly how I feel about my husband. It is such a gorgeous quote indeed! Love that it makes you think about your husband! Love the quote from The Gentlemen’s Guide to Vice and Virtue! I finally have acquired a copy and cannot wait to read it. Here is out Top Ten Tuesday. Thanks! Nice way to spin the list! I’m not a massive fan of swoony quotes, for me they mostly come across as cheesy rather than swoony, but I did like your picks this week. I wish I’d thought of featuring that Simon vs. the Homo Sapiens Agenda quote, because it’s one of my all-time favourites. Stupid terrible memory! I also love the Anna and the French Kiss quote: that book is like snuggling into a warm blanket. Never read any of these books!Nice list! Great quotes. The ones from Crooked Kingdom and A Gathering of Shadows are some of my favorites too. They definitely are amazing quotes! I like the Immortal Fire quote-the cover is gorgeous!! You picked so many great quotes!! You had me at the title for this post haha. AHH CK… the book that broke my heart in all the ways it was supposed to. Thanks so much! Crooked Kingdom definitely hit all my emotions too. Oh some great quotes. AND you reminded me of several books I still need to read! Also, that Unravel Me paragraph is amazing. Wow. I love that. And I also adore that Immortal Fire quote! I've only read Red Winter so far, but I can't wait to continue the series.